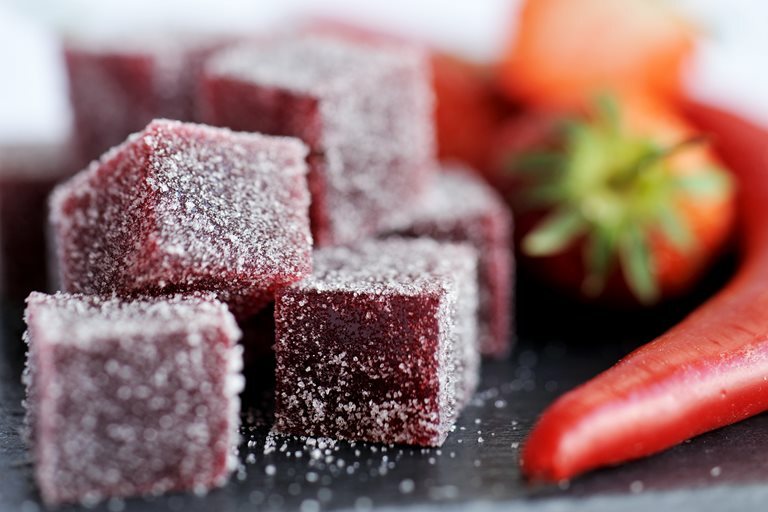 Simon Hulstone's strawberry jelly recipe is a playful treat for the end of a dinner party. The sweets are great in combination with some dark chocolate petits fours or truffles. Be warned, the strawberry jellies harbour an unexpected Tabasco kick, which you can tone up or down. Simon Hulstone's aesthetically pleasing and rewarding cuisine can be found in Torquay at The Elephant, which holds a Michelin star.